Size: Bird is 3" tall, skull is 1.5", plate is 4.5" X 5.0"
This is a screamin' rare vertebrate fossil. 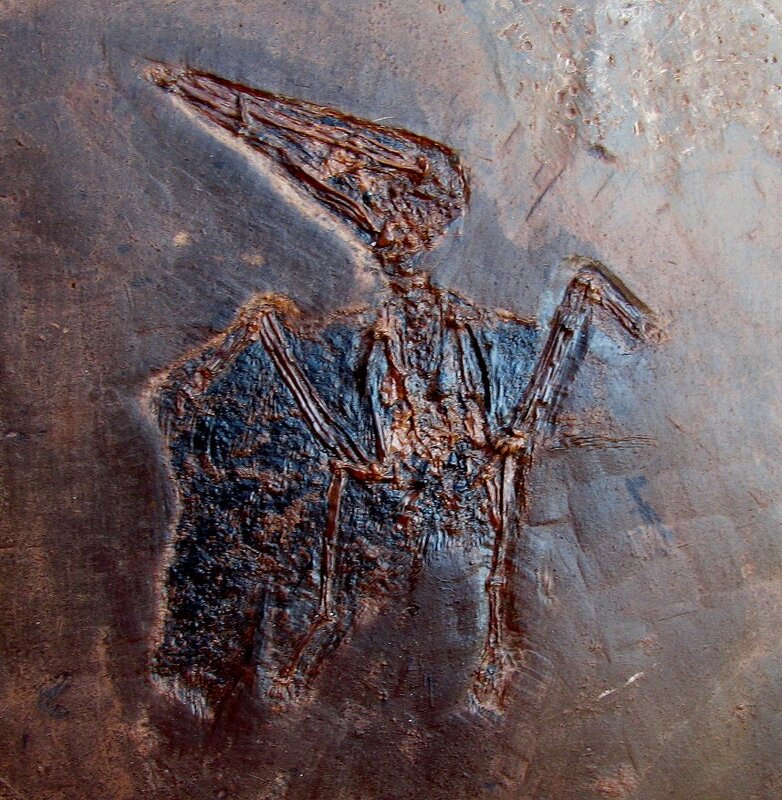 It is a killer Unidentified Fossil Bird from the closed site in Messel, Germany. This amazing specimen was recently acquired from a major fossil collection. Birds are rarely preserved in the fossil record due to the fragility of their hollow bones. Due to the delicate nature of the oil shale at this site, this specimen, like all from the locality, has been embedded in resin to allow preparation. The fossil is then flipped over and the matrix removed on the opposite side. A final coating of resin preserves the specimen as seen here. This fossil bird skeleton has wonderful bone and soft tissue preservation - a black carbon film represents the soft-tissue remains of the body , wings, and feathers. The detail of the bird is just phenominal - the wing bones and legs are even preserved! But the best feature of this fossil is the detail of the skull. The HUGE beak is still intact and well displayed - just look at that detailed skull! This specimen is even more remarkable under magnification! 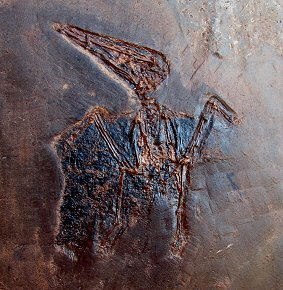 This is fabulous Fossil Bird from Messel - and due to its size and huge skull, it may be a new species!